Aaron Neville has one of the greatest voices in the history of pop music. He has the body of a linebacker and the voice of an angel (sorry I stole that line). He has a distinctive vibrato and falsetto. He is a member of the first family of New Orleans soul music (Neville Brothers). This album is a doo-wop project. 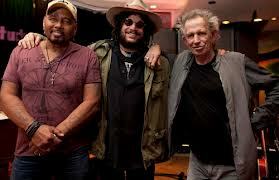 Don Was (a great musician in his own right and now president of Blue Note Records) curated the project and had the genius (and the clout) to get Rolling Stone Keith Richards to help him produce. Richards and Was put together an amazing band. That band, with Richards at the helm, is brilliantly understated. It truly supports Neville’s singing and never overshadows – 50 years of backing a megalomaniac like Mick Jagger must have prepared Richards for this project. 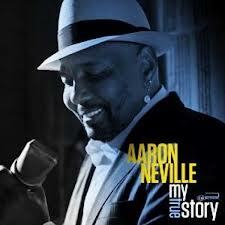 Hear Aaron Neville talk about his new album at NPR. Sounds interesting. Love the Neville/doo-wop/Was combo.